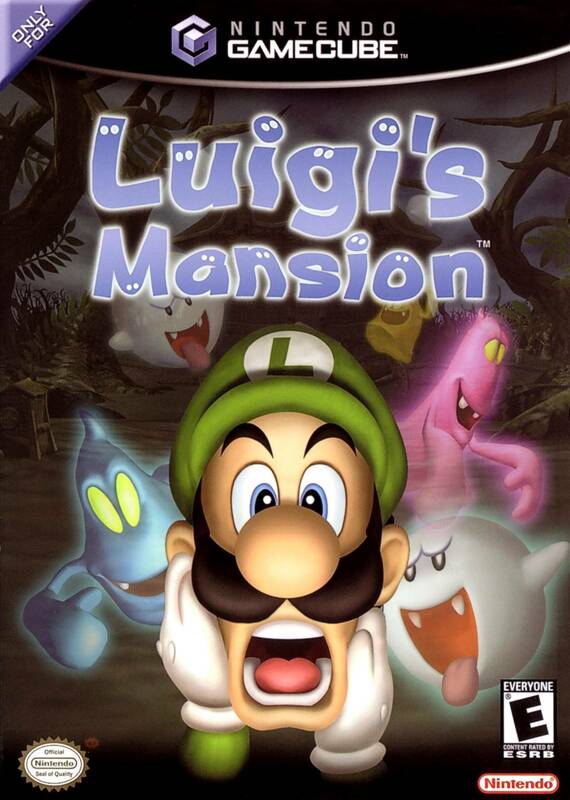 Luigi steps out from the shadow of his brother Mario and into the gloomy shadows of a very haunted house in this, his first-ever starring role. As it turns out, Mario is also trapped within the mansion, so along with the help of Professor E. Gadd, Luigi must defeat all 23 of the house's inhabitants to save Mario and take back the mansion. As Luigi, you'll search for the keys that open the many locked doors; vacuum coins, cash, and gold bars; and explore vases, bookcases, and drawers. 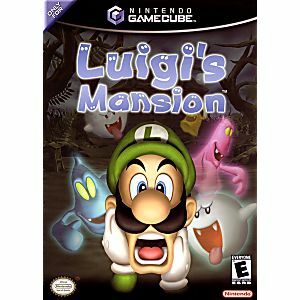 From the brick-walled basement to the gloomy grounds, Luigi's Mansion is packed with chills, thrills, and creepy surprises. Got this game for my 25-yr-old son for his birthday - he LOVES all the old games from his childhood, but never actually owned this one. It's a hit for sure. Shipping was fast and everything was as described. (We got his Christmas gifts from Lukie as well and were very please with the product and service.) Thanks!! Classic game,came in perfect condition. My teeneger is into playing all the old systems and games. We had this game once when he was a toddler and he had memories of watching me play. But it got lost along the way. The game was in great condtion when we received it from Lukie games. Everything we bought so far is. We are enjoying the being able to play this game again. The games that I ordered came on time. The cases were not cracked or broken, looked like I just picked it up from the store. And it ran like I just got it too. No scratches or glitches! And the price was great too! Other websites were charging 5 times as much for these games that I thought I would never own again! Will definitely order more later on! Shipping was on time, and the game has been great. It definitely makes me feel like a kid again. Couldn't wait to play this game again, but now with my own kids. Game was complete and played all the way through. No problems. Arrived about a week and a half. Thank you Lukie games! Just Perfect! This game is by far one of the most sought after games on the GameCube to me. I’ve wanted to have this childhood game back in my ownership forever, and Lukie Games helped me out with that for a bargain. Thanks Lukie Games! Works well. Plays exactly like it did when I was younger. Couldn't be more pleased, prompt delivery and the game works perfectly. I remember getting this game with my gamecube as a kid and the nostalgia was as good as I thought it would be. No issues, game came fast and great condition and I would recommend lukie games with any purchase for older games. Awesome game, as expected. The game came in like-new, impeccable condition. While that is always appreciated, it is even more important for me. Why? Because I have a 15-year-old autistic son. To him, the "old school" NES and GameCube games are cutting edge and his first "love" when it comes to video games. Finding classic old GameCube games in impeccable condition has made him--and thus his parents--very happy! Thanks Lukie! I will buy from you again for you extremely high standards. I couldn't be happier with the way the disc looks and plays. No scratches, just like the rest of the discs I've purchased on this site.